About 13 years ago, Northeastern professor Jonathan Tilly, a reproductive biologist, made a discovery that challenged everything scientists thought they knew about female reproduction. The long-held belief that mammals were born with a set number of eggs — and no ability to create new ones — was wrong. Now, Tilly and his colleagues have published a new study that “puts the final nail in the dogma coffin,” showing unequivocally that stem cells in the ovaries are a critical piece of the mammal fertility puzzle, and may be harnessed to revolutionize fertility treatments and perhaps even delay menopause. Males from every animal species can produce new sperm at any time. Female flies, fish, and birds can make new eggs. But for decades, the accepted paradigm in reproductive biology was that nature had not granted female mammals the same luxury as their male counterparts. Tilly first disproved this idea with a study, published in Nature in 2004, that found a group of stem cells in mouse ovaries were supporting production of new eggs. His paradigm-shattering discovery was met with debate, disbelief, and disparagement from the scientific community. “My lab took a lot of heat for a lot of years,” Tilly said. But he wasn’t discouraged. As research groups all over the world started to confirm and reproduce his results in mice and other mammals, Tilly sought to show the phenomenon held true in humans. And in 2012, he did. The study described the same group of ovarian stem cells Tilly found in mice also existed in reproductive-age women. And he confirmed they served the same function — making new eggs. Tilly’s peers remained skeptical. “We’ve had our work followed quite extensively,” he said. “Many people are highly critical of it and looking for ways to poke holes in it.” His new paper, published in Nature’s Scientific Reports on August 30, is the culmination of eight years of work and describes three different experiments. One is a replication study confirming that adult female mice can, and do, create new eggs. To accomplish this, Tilly and his research team isolated the oocyte-producing stem cells from the ovary tissue of adult mice. They wanted to track cells’ transitional journey to show they were, in fact, instrumental in making new eggs, embryos, and eventually, offspring. To track the cells, researchers genetically engineered them to express a certain gene — the same one that makes jellyfish glow fluorescent green. The scientists then reintroduced the genetically engineered cells back into the ovaries of adult mice. The proof that new eggs had been formed with the modified cells was undeniable — the baby mice were born green. This reconfirmed what Tilly already knew. A rare group of ovarian stem cells was aiding egg production. But how important are these cells? How much of a difference do they make in the overall number of available eggs? The second part of his study aimed to answer those questions and quantify the biological importance of the stem cells. With a method called suicide gene technology, researchers can kill and resurrect cells on command. Tilly used this technique on transitional cells that would have eventually formed new eggs in mice. This allowed him to reversibly shut down new egg production and observe the resulting impact on ovaries. Tilly’s team found that mice are producing about 60 to 70 new eggs per day. This is a significant number, considering mice only have about 1,000-2,000 eggs total. And even more importantly, they discovered that as mice age, their bodies slowly turn the upper spigot off. The ovarian stem cells are still present in the body, but they stop functioning. As a result, the ovaries stop producing new eggs. Once all the eggs are depleted, the ovaries eventually fail. The third and final part of the study was an experiment that employed a genetic technique called lineage tracing or fate mapping. It’s another way of tracking the stem cells inside the body. But instead of removing the cells and relying on genetic engineering to mark them, scientists tracked cells based on their own self-marking. This quelled any concerns that the cells were behaving unnaturally after having been tampered with. Again, Tilly and his research team were able to follow the stem cells and confirm they made new eggs and healthy babies under natural conditions. What’s more, those babies went on to have healthy offspring of their own. The discovery and understanding of these ovarian stem cells has sweeping implications. One is the possibility of harnessing them to produce an unlimited number of eggs. For women struggling with fertility, this would change everything. An in-vitro fertilization, or IVF, cycle can cost up to $25,000 and involves a large amount of hormones injected into the body daily. The process is very painful and typically yields only a few harvestable eggs. One cycle results in a baby less than 50 percent of the time for women younger than 35. For those older than 35, chances of success steeply decline with age. Tilly has already started developing fertility technologies and providing treatment through his startup, OvaScience. 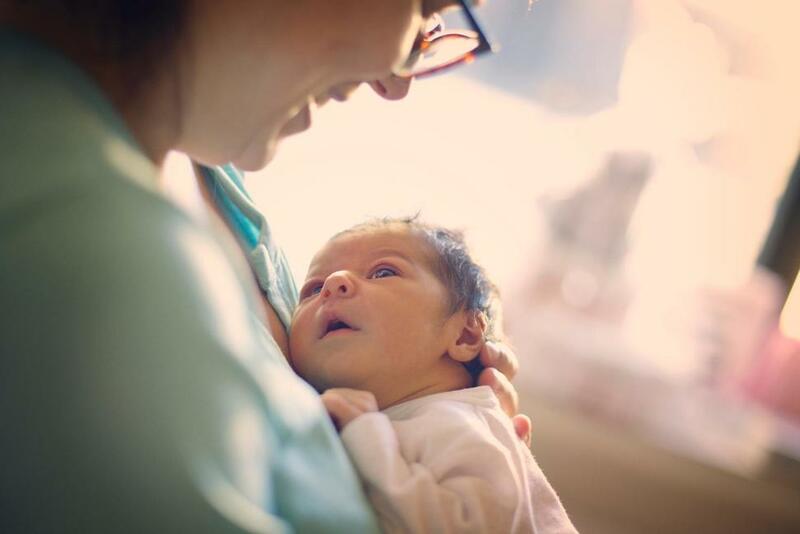 The first woman to receive OvaScience treatment, called AUGMENT, gave birth to a healthy baby in 2015. Many others have followed, Tilly said. Regulating these stem cells may also enable control of the female biological clock. Tilly’s lab has achieved this to some degree in mice, successfully halting menopause, or “mouseopause,” as he calls it. Doing so had enormous health benefits on sensory, cognitive, bone, and body mass health in mice. Tilly suspects delaying menopause in women would similarly prevent or delay the multitude of health risks associated with human female aging, although he concedes there is much more work to do before this goal materializes. Infertility is a sensitive topic, and Tilly is careful not to overstate the promises of the technology in its current form. But he proceeds with “cautious optimism,” and has an ambitious vision for how the research could change the world of fertility and aging.